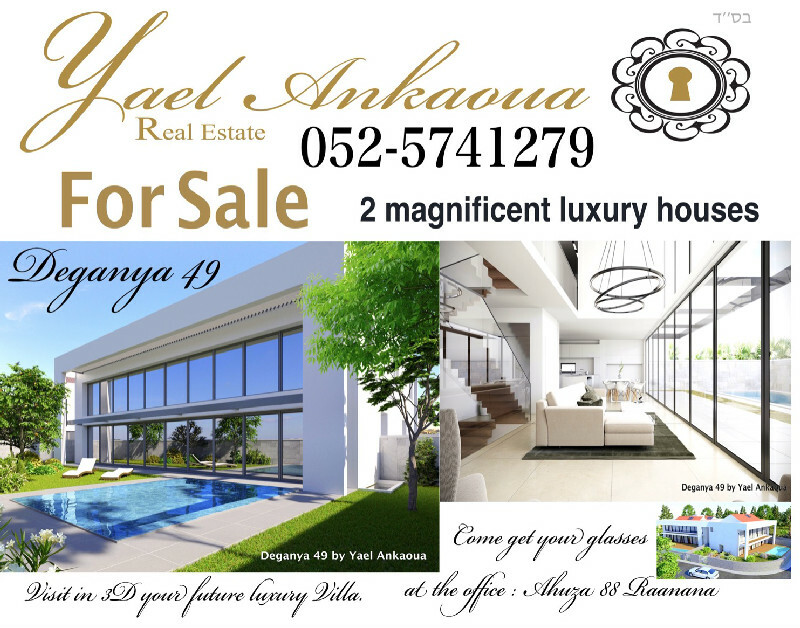 Luxury houses in Ra’anana Deganya 49 is a beautiful project located in the desired North/East area, that offers 2 magnificences luxury houses of 9 rooms, Designed by Israel renowned architect Zait Lev. Large exterior which brings peace and serenity with amazing Infinity pool. On the ground floor, large living room open on the garden with real fireplace, High ceilings and glasses that give a feeling of endlessness , spacious dining room and Designed Semel kitchen. The first level displays one master opened in-suite bedroom and three bedrooms with a bathroom, Open space that give on the living room and walls of windows with view on the green garden. On the upper floor, two spacious bedrooms, a bathroom, with two big sunny private terraces. This perfect house includes a basement, home cinema , entertainment area, safety room, bedroom, bathroom, and laundry room. Outgoing on underground parking. The houses features underfloor heating and refreshing system, a Mitsubishi VRF system of air-conditioning, smart house system……. High quality materials from Italy with marble floor 120/60, and real wood flooring with a width of 22 cm, European design bathroom….. The first house Features 372 m2 built and lot size of 368 m2 : 13,300,000 shekels The second house Features 322 m2 built with lot size of 330 m2 : 11,700,000 shekels These wonderful houses will bring you pleasant experience of living in a luxurious villa in a peaceful and prestigious area in Ra'anana.